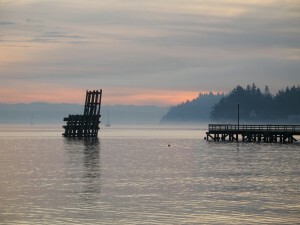 I’ve really been enjoying a blog by Jackie Hildering, “The Marine Detective” from Port McNeill, BC. In her most recent post to themarinedetective.com, she share a story of a relationships between species that literally build upon each other. In Humpback Whale Gooseneck Barnacles?! She shares the wonder of diversity and discovery that never ceases to surprise. 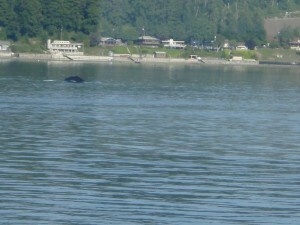 In her research on humpback whales she and her colleagues noticed a species specific whale barnacle on a particular humpback. As time went on, the barnacle changed like a gnarly wart growing hair. Finally, they got a close look at the “hair” to find it was a barnacle specific barnacle – the humpback whale barnacle barnacle. Share the marine detective’s wonder and enjoy her amazing photos. The last opportunity of the season to collect our outer coast’s famous razor clams (Siliqua patula – Latin for Pod open since it looks like a newly germinated seed pod) is today (5/18) through Sunday (5/22). The Washington Department of Fish and Wildlife has a whole series of pages devoted to razor clams, including how to dig them and their relationship with domoic acid, a toxin that causes amnesic shellfish poisoning and is produced by the group of diatoms called Pseudo-nitzschia. 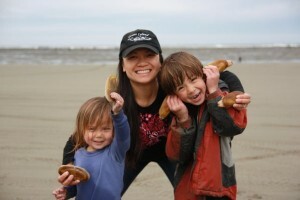 So far, the razor clam beaches have the Department of Health OK for harvesting razors this week. If you’re looking for a spur-of-the-moment staycation you might give this some thought. 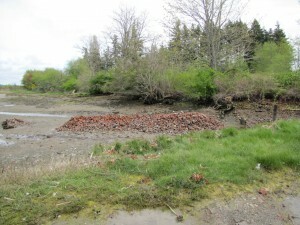 Our Salish Sea clams generally stay in one place while you rake/dig them near the surface or chase their neck down deep. Razor clams take a different approach on their beaches of deep sand. They have a specialized foot that can rapidly extend, long and pointed, straight down into the sand. Once extended, the end of the foot expands to act as an anchor. Muscles then contract and pull the entire clam deeper into the sand. You shovel, they plunge, you shovel, they plunge… the chase is on! You might imagine, such an approach wouldn’t work well in many Salish Sea beaches because of the mix of sand gravel and cobble that are often dominant. Hence, we fjord-folk have to travel to the open coast and bravely face the Pacific expanse to forage for these delicacies. On the other hand, we do have a very similar-looking species, called the jackknife clam or blunt razor clam (Solen sicarius, meaning something like Pipe dagger-man, ouch!). 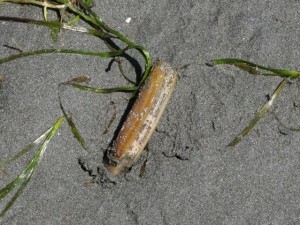 Its shiny, oblong, beige to brown shell is similar to the razor clam, but certainly unique among Salish Sea clams. The shell of a jackknife, however, is relatively narrow and more squared off on the ends. Also, the hinge, where the two shells connect, is at one end of the shell instead of near the middle. That’s pretty unusual to see among our clams. The jackknife clam is not often seen alive since it prefers sand and mud from the very lowest tides down to about 180′. 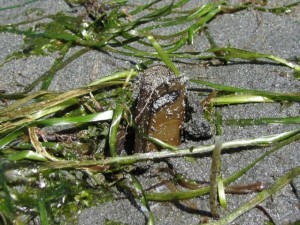 Jackknife clams (up to 5″ long) also dig a more permanent burrow than a razor clam, whose burrow fills and empties of sand more regularly. The jackknife burrow may be 15″ deep or more and can be relatively smooth lined, particularly in substrate that’s more of a hard mud. The clam can zip quickly to the bottom when threatened. 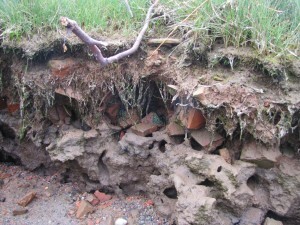 It can then dig deeper if necessary… but it’s no longer so zippy.